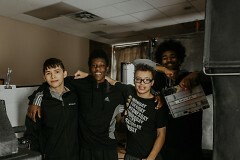 On Friday, February 9, 2018, teachers, community members and a film production crew worked with boys in the juvenile justice system to produce a series of interviews, exploring what it means to grow into adulthood in hopes of expanding their visions of what's possible in their futures. 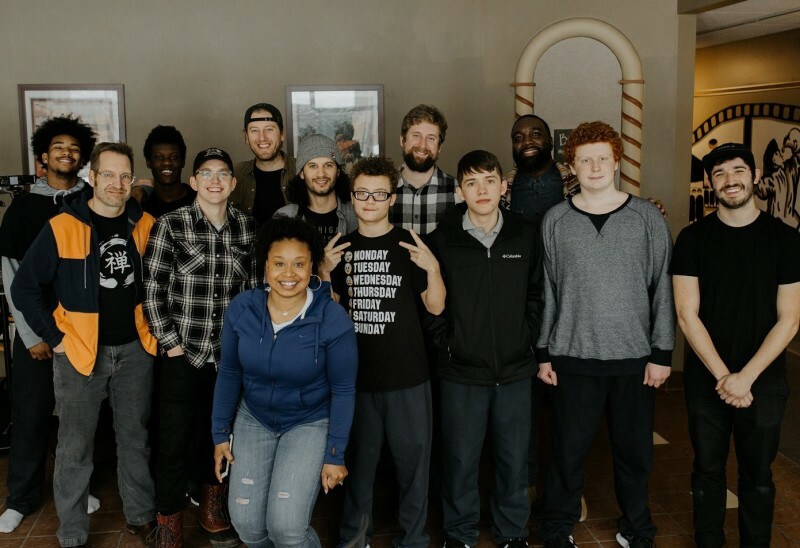 On Friday, February 9, 2018, teen boys from the Delta Project gathered at the Grand Rapids Community Media Center's Wealthy Annex and worked with their teachers, community members and a film production crew to produce a series of interviews, exploring what it means to grow into adulthood and participate well in one’s community. The Delta Project is a program of the Kent County Juvenile Detention Center. “The boys are temporary court wards. So these kids are placed either on probation, community probation or with a residential probation officer through the courts,” explains Amanda Jackson, one of the boys’ Residential Probation Officers. When teenage boys are in the juvenile detention center, some are placed in a program called the Delta Project to help them learn life and family skills before they go back home in the hopes the classes and outings will reduce recidivism in the criminal justice system. The Delta Project started in 2012 and is a 120-day-program. Each child receives their own treatment plan which they begin to work on in the first 30 days. After the first 30 days, teens begin to go on community outings, volunteer at the YMCA in exchange for use of the facilities and do other volunteer work. “Over the 120 days, we see kids come in angry over their issues, not wanting to speak to their parents. Parents are ready to give up on the kids. Over time we notice through our parenting groups, through the interactions in the community, we see these kids grow self-esteem. They grow a closer relationship with their parent, more open to talk about the issues going on in the home, parents are willing to listen a little more. The parents are open to understanding what their kids are going through, the daily pressures. We see a lot of growth in accountability, we see a lot of kids opening up more towards the end, holding themselves responsible for what they did,” says Jackson. Now the project is trying something new. It is teaching the boys how to tell their own stories and hear the stories of others through making their own media. Over the next six months they’ll be interviewing various men in the Grand Rapids community and making videos of these interactions. But Williams says he also knew there are a lot of great leaders in various realms doing great work in Grand Rapids that the boys don’t get to see or interact with. He brought his ideas to Joel Van Kuiken and they reached out to Gorilla Film Production and the idea turned into form. “There’s so many men in this community doing some amazing work, but the boys in the juvenile detention center don’t get access to them. Or don’t see them? And so how do we bring those guys together? We hope to bring men they can see in front of the camera and have a conversation we hope will foster something long-term,” says Williams. Van Kuiken was happy to be involved. 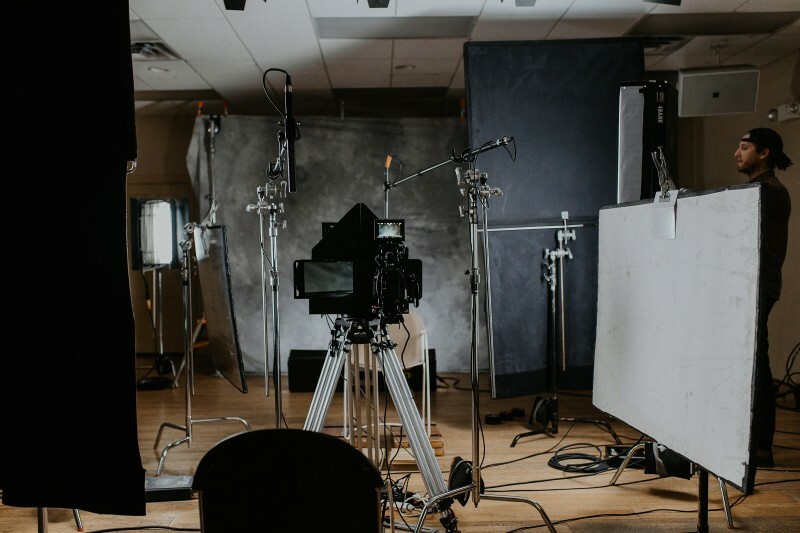 Formerly on the board of the Grand Rapids Community Media Center, the parent organization over The Rapidian, he connected the project with one of the media center’s studio spaces and the film production company. “We’re looking to get at some of the structural issues in society and find solutions and pivot away from the systems we perpetuate which have the wrong kind of outcomes," Van Kuiken said. "There are ways forward, finding ways to directly impact people." The boys themselves were very excited to participate in filming. They took turns interviewing each other and their teacher,and then took turns watching each other on screen. Gorilla provided a craft services table, the food and drinks table typical for a film crew, for the Delta Project teens. The boys also took full advantage of this fun new experience.